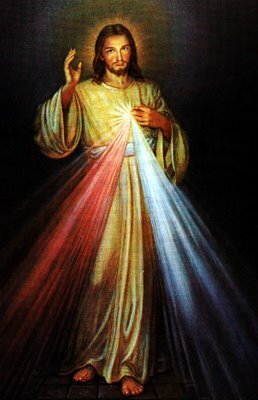 Here’s Day 7 of the Divine Mercy Novena! Lord, I pray for reconciliation and a change of heart within our family and families throughout the world. May we experience a renewed and deeper conversion and healing. This I pray through the intercession of our Mother Mary, in the name of Jesus. Amen. Lord please heal my family, heal our broken relationship with each other and may you continue to guide and protect us from harms and dangers.Lord, with you nothing is impossible. I pray for a client that just purchase a house I ask the Lord to please resolve The issue with the insurance and may it no cancel. Thank you Dear Lord for your Mercy! For family friend that just found out aggressive lung cancer that he may find the Lord. Come Holy Spirit and fill him with your comfort and strength so he may know you.Give us the words to lead him to you. If it is your will heal him. I pray for a stop to my addiction to alcohol. I wish to stay in my faith and trust that God will take care of me. This is hard because I do feel so alone. I ask that I lean on my faith when times get hard and fully trust in the Lord … and not numb myself with alcohol. I hate alcohol …. I hate I am not strong enough to rest in my Lords peace. I pray for peace. I love you my Lord please help me. For my daughter that they may find a cure for her cancer and for her to be cured. For all my family and their intentions. Peace. This time I pray for my sister to find a better job and for all people who are dying/death. For the people who are persecuted because they believe on You almighty. Please pray for my husband, so that he frees himself from the evil of alcoholism and to be the husband and father God wants him to be. Thanks! Please pray for my husband to get a favorable decision about his case and able to sell our store in a reasonable prize and get out of the mess.. I pray for all who have diddicult life issues to be relieved from pain and heartaches. Please help Paulina to resolve all her fights with her ex about her children. Please be by Terry s side today and help him to talk and discuss intelligently in his favour. Help him resolve all issues that has been hindering his life in the last few years. Free him of all responsibilities that he does not need now so he can move forward free and happy. Lead him to a better place and a more fulfilling life. Guide him step by step all the way open his mind and give him a clearer vision of his future though Divine Mercy. Lord I pray this prayer for my sister Susan. Who is battling a stomach blockage. Lord please heal her from the top of her head to the bottom of her feet I pray this all in your name ! Amen ! I pray that you keep me in a positive mind set, a loving heart and a forgiving heart. I’ve been going through a lot with my son and a personal friend that’s left me heartbroken. I want to heal from the hurtful things that has been said and done to me. I’m a generous and loving person. I would like the same in return. I pray everyday about this situation. I need to be financially freed from all of my son’s debt/fines of incarceration. I’ve emptied my retirement to help my son and family. Now I’m broke, homeless. I’m in my 60s and cant retire. Please pray with me and for me for renewal and restoration for me and my family. Please have mercy on this broken family. Thank you in Jesus name. Amen! My Lords help me with my new jobs the bosses the manager etc. Most Merciful Jesus, please open Your merciful heart and grant Tony the blessings and grace of a cure of his cancer. Jesus we Trust In You. Please pray for all those who’ve no one to pray for them. Please pray for all the souls in purgatory, for all those who are battling addiction, for those who have taken their own lives. Finally, please pray for all unborn children, priests and religious, and all marriages and families. May Elsa and Antonio put God at the center of their marriage, seek purifying reconciliation and show mercy as Jesus has so graciously taught us. For all my family living (esp for my Dad) & deceased, all my friends and esp my enemies…for all those who asked me to pray for them. Danuel’s family and friends. Your Grace and Meecy. I need God’s mercy in my life. God’s miracle for my heart desires. Please pray for my sister to stop hating and being jealous of me. We are trying to give my mother her 90th birthday party but, my sister is being unreasonable and wants to dominate and control everything as usual. We had a big fight and now she won’t contact me, even though I already gave her $$$ towards the party. My sister is a very evil and devious person and its extremely difficult to deal with. Please pray for her and remove her ignorant ways. Please reveal to her how selfish she is and to stop hating me.